Rare adult solid cancers account for as many as 15% of all new cancer cases, thus being the main group within rare cancers in general. This Course is aimed at dealing with them on an annual basis with the ultimate goal to strengthen the educational coverage of a group of cancers which may be neglected in spite of their collective incidence. 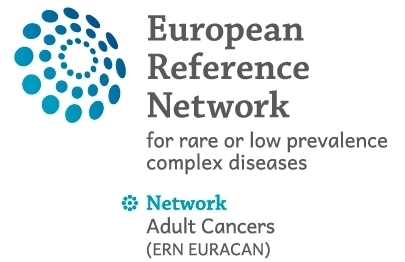 This course has been conceived in the context of the European Reference Network on Rare Adult Solid Cancers (EURACAN) and the Joint Action on Rare Cancers of the European Union (JARC). The Faculty has been largely selected from EURACAN, also with the aim of letting this educational effort closely interact with the networking activities of EURACAN and the networking educational efforts that are ongoing within EURACAN, JARC and Rare Cancers Europe. • Day 1 - Parallel Preceptorships on the majority of rare adult solid cancers. Participants will be invited to select 3 preceptorships they would like to attend. • Day 2 and 3 - Clinical updates on the main innovations from the 10 families of rare adult solid cancers. Preceptorships have been conceived by looking at the educational needs of clinical oncologists willing to open up to rare adult solid cancers as well as patient advocates. They will be multidisciplinary and clinically oriented. Attendees may select whether to attend all three days or only the 2-day Clinical Update. The course has been accredited by the European Accreditation Council for Continuing Medical Education (EACCME®) for a maximum of 19 European CME credits (ECMEC®s). Application for CME recognition has been submitted to the Italian CME accreditation system. Learning objectives: application of the principles of evidence based practice (EBM - EBN - EBP) in the daily routine. The organisers bear no responsibility for untoward events in relation to the participation during the Course. Participants are advised to take out their own personal and travel insurance. 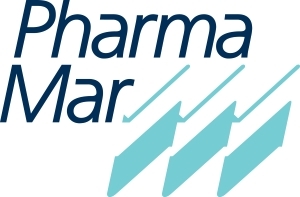 and to Eisai and PharmaMar for their unrestricted educational grants. Rates are indicated in Euro and include VAT. Registration grants participation in all sessions, coffee breaks and lunches as indicated in the programme. Cancellation should be notified to ESO in writing. In case of cancellation without replacement, the fee minus handling charges of EUR 100 will be refunded within two months from notification, provided that the cancellation is received by ESO before 9 November. Communication of replacements will be possible up until 15 November. From 1-3 December 2018, RCE-ESMO-ESO are organising a specific training course for rare cancer patient advocates. The 2018 edition of the event will bring together patient advocates from across Europe, to exchange views and ideas with clinicians and researchers, who are attending the parallel ESO-ESMO-RCE Preceptorships and Clinical Update on Rare Adult Solid Cancers. For further information please visit the RCE website.